The Periodic Table of Elements is composed of individual chemical elements that are specific species of an atom having the same number of protons in their atomic nuclei (that is, the same atomic number, or Z.) For example, the atomic number of oxygen is 8, so the element oxygen consists of all atoms which have exactly 8 protons. In 1869, Dmitri Mendeleev’s developed the Periodic Table of Elements. In celebration of this table used by every student and professional of chemist, scientist and engineer on this planet is celebrating its 150Th Birthday. The “International Year of the Periodic Table of Chemical Elements” or IYPT2019 for short is recognized by the United Nations General Assembly and UNESCO to have this special designation. The table has served chemistry students since 1869, when it was created by Dmitri Mendeleev, a cranky professor at the University of Petersburg. This table consisted of 63 then-known elements and scientists submitted to him their data on the elements weights by passing currents through various solutions to break them down into their constituent atoms. Currently, there are 118 elements ranging from 1 – Hydrogen to 118 – Oganesson. March 6, 1869, is the Periodic Table of Elements’ official day of creation by Professor Mendeleev. And if we look at its birthday as it celebrates being 150 years old it would have the elements of being a Pieces with a motto of “I Believe,” which has been its birthmark in chemistry. All chemists and their related scientist or engineers believe in the Periodic Table of Elements as the universal standard for any chemical analysis. It is the universal language of a chemist no matter where they live on this planet, Earth. A VERY HAPPY BIRTHDAY TO THE PERIODIC TABLE OF ELEMENTS. SPECIAL PRIZE! 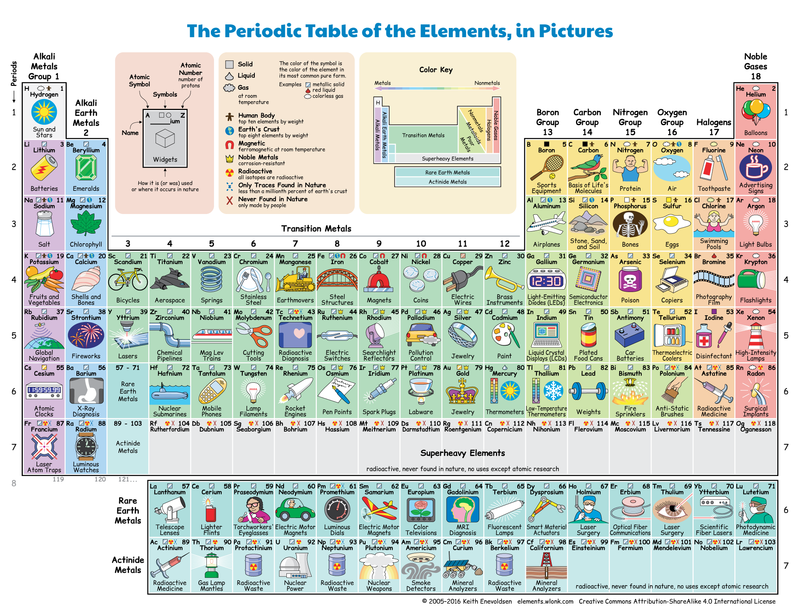 The first 10 people to call in to Dr. Hildy at Integrative Health Systems, LLC – phone 323-466-2599 will receive a Periodic Table of Elements while supplies last. Print at letter size (11×8.5 in) or poster size. Here we go again to celebrate Turkey Day. All of us at One Cell One Light® Radio would like to wish you a super duper Holiday Season with all of the Fixings. Cricket the K-Town Kitty will be playing with her Cat Fishing Line as well as her rolling Weasel. She has been planning on visiting her good friends the Furry Sleuths, Randolph and Dune over the holidays to look for the Red Eared Turtle of China Town. So they will be quite busy as this year ends and 2019 begins. Randolph and Dune have been busy at Casa di Baci Mi®, since October wrapping their special gift packages, “You Can’t Teach an Old Dog New Tricks.” Each gift package will have one of their puppies to take home. Cricket has been wrapping her “Don’t Let the Cat Out of the Bag” gift packages and putting a little sleeping kitten in it with a Baci Mi® Fermented Oil or Lip Gloss with a Cat Fishing Line, too. Body of Lite.com – Gifts to make your Body of Lite shine Brite! GOBBLE GOBBLE from ALL of US! If any of my audience had grandparents or even parents’ who lived through World War II, you would always hear of the ravishing beauty of the actress of the 1930’s and 40’s Ms. Hedy Lamarr. She was a Hollywood icon whose own beauty was the inspiration of the character for Snow White and “yes” even the Cat Woman. Ms. Hedy Lamarr has been called a technological trailblazer who perfected a secure radio guidance system for the Allied Troops torpedoes during World War II. Her creative genius matched her beauty, which lead the world into Wi-Fi, Blue Tooth and many other systems. Two years ago, One Cell One Light Radio Show did a special program on the Lady who created Frequency Hopping a gift she wanted to give to our US Navy to help the Allied Troops. We are re- airing this show due to the recent documentary release of Bombshell: The Hedy Lamarr Story, Neflex® © 2017. Ms. Lamarr’s contribution to engineering and science in wireless technology with her fellow inventor was so critical at its original time and now. Many inventors go unrecognized for their contributions and even lose the rights to their own patents, so that another government, agency, military department or person can take over their work and reap a financial reward that would surpass anyone’s expectations. I feel deeply that this is what exactly happened to Ms. Hedy Lamarr with her work with frequency jamming systems as well as the ability to use ultra wide spectrum systems of radio frequency, so that it may be used to hop into different frequencies through channel switching. I greatly appreciate her works at all levels and her desire to be great in the TRUTH of GREATNESS. GRAND PRIZE: Baci Mi® Gift Package of the DVD’s of some of Hedy Lamarr movies including Algiers and Samson and Delilah with Bombshell: The Story of Hedy Lamarr. Ms. Quito Skin Toner, several Baci Mi® gels and some extra surprises. Question: Name the movie in which Hedy Lamarr started with Victor Mature in a biblical story. Over the years you may have seen a number of movies that have given you great joy. A piece of history that allows you to reflect back to your childhood and smile. A time when you went to a circus ate cotton candy, popcorn and candy apples watched the big cats in action and the clowns as you sat under the Big Top watching the Barnum and Bailey’s Greatest Show on Earth and its historical merger with the Ringling Brother’s Circus. The age of the circus took many turns as it went by — ornate wagons and animal cages on the dirt road for over 150 years — to the great railroad ways in major cities. The train would stop and let off the animals, clowns, stars of trapeze as they collectively entertain the town with even a parade. Dr. Hildy® remembers these days very well and recalls sharing them with her childhood friends. She even can say she rode an elephant at the circus. Gone are these days, which gave much enjoyment to children and adults. The movie many will remember is JUMBO starring Jimmy Durante, Doris Day, Stephen Boyd, AND Martha Raye. Boyd and Durante have passed away years ago, but the star still gracing our Earth with her glorious shining rays is Ms. Doris Day. Even though her other co-stars are looking down from their seats in heaven (with a smile in their hearts), they can say she is doing wonderful work with her animal rescue programs as her golden rays shine on. In the movie the song “The Most Beautiful Girl in the World” was sung by Stephen Boyd, and many a young lady felt he was singing that song to them in the audience. Stephen Boyd is best known for his role in Ben Hur with Charlton Heston as Messala. Dr. Hildy® will tell you that the chariot race with Ramon Novarro and Francis X. Bushman is one you will always remember forever as you compare it to Heston’s and Boyd’s racing skills. Many of you do not know that Stephen Boyd did a special interview with Ramon Novaro and Francis X. Bushman at the Brown Derby about the great chariot race in Ben Hur in 1959 for the release of the remake of Ben Hur. All of these great actors including Charlton Heston drove their chariots for the silver screen. Some experienced injury and great muscle fatigue, but the art of handling a chariot shows to this day as an exquisite style of their roles for the movie – Ben Hur. Stephen Boyd passed away at age 47 from a heart attack playing his favorite sport, golf. His years in acting may have been limited but the movies he made are full of adventure, drama and style. Even his role with Omar Sharif and Telly Savalis in Genius Khan is remembered with great excitement. James Francis Durante was an American singer, pianist, comedian, and actor. His distinctive clipped gravelly speech, Lower East Side Manhattan accent, comic language-butchery, jazz-influenced songs, and prominent nose helped make him one of America’s most familiar and popular personalities of the 1920s through the 1970s. He often referred to his nose as the schnozzola (from the Yiddish slang word “schnoz” [big nose]), and the word became his nickname. And if you ever loved TARZAN movies with Johnny Weissmuller, Maureen O’Hara, Cheeta and Boy (Johnny Sheffield, Jr.) will remember a parody on Tarzan made by Jimmy Durante called Schnarzan (Tarzan, eat your heart out) with Lupe Velez. A very funny spoof on Tarzan with Durante swinging on vines with Cheeta, but not exactly in the same style and grace of the greatest Tarzan that ever was in Dr. Hildy’s book – Johnny Weissmuller. Dr. Hildy® will tell you when you think of Tarzan and his great yell you will always remember the Olympic Gold Medal (5 medals) winner Johnny Weissmuller. Johnny Weissmuller’s son, Johnny Weissmuller, Jr. authored a wonderful book about his father entitled Tarzan, My Father. A beautiful presentation by a loving son, who was a US Navy Diver and actor who passed away in 2006 before his book was released. Durante’s love for children continued through the Fraternal Order of Eagles, who among many other causes raises money for handicapped and abused children. At Durante’s first appearance at the Eagles International Convention in 1961, Judge Bob Hansen inquired about his fee for performing. Durante replied, “Do not even mention money judge or I’ll have to mention a figure that’ll make ya sorry ya brought it up.” “What can we do then?” asked Hansen. “Help da kids,” was Durante’s reply. Durante performed for many years at Eagles conventions free of charge, even refusing travel money. The Fraternal Order of Eagles changed the name of their children’s fund to the Jimmy Durante Children’s Fund in his honor, and in his memory have raised over 20 million dollars to help children. A reporter once remarked of Durante after an interview: “You could warm your hands on this one.” One of the projects built using money from the Durante Fund was a heated therapy swimming pool at the Hughen School in Port Arthur, Texas. Completed in 1968, Durante named the pool the “Inka Dinka Doo Pool”. Martha Raye played a clown, gypsy fortune teller and a trapeze Butterfly Flyer in the movie Jumbo. She was a comic actress and singer who performed in movies, and later on television. She was honored in 1969 with an Academy Award as the Jean Hersholt Humanitarian Award recipient for her volunteer efforts and services to the troops. On November 2, 1993 prior to her passing in 1994 (pneumonia), she was awarded the Presidential Medal for Freedom by President Bill Clinton for her service to her country during World War II, the Korean conflict, and the Vietnam conflict earned her the nickname “Colonel Maggie” and an honorary Lieutenant Colonel in the US Army. Martha Raye was the fifth person to be awarded Honorary Green Beret. While in Vietnam she would assist those in combat hospitals instead of performing because she was an LPN (License Practical Nurse). AND: We have a winner…. Dr. Hildy® hopes you will enjoy the opportunity of winning a Baci Mi® Gift package that has these tremendous, caring and joyous personalities of the silver screen in their honor. Call in number is 323-466-2599 Integrative Health Systems®, LLC. The Baci Mi® Gift Package contains: DVDs of Jumbo, Doris Day Collection, Walt Disney’s® Toby Tyler at the Circus; History of the Ringling Brothers Circus, Ben Hur Anniversary Collection; My Sweet Honey Bee soap; Baci Mi Dragon Fly gel; Ms. Quito Skin Toner, a special tea cup and Dragon Jasmine Peal Tea as well as some other special gifts. Trees have been around for about 370 million years, and as you can from these incredible pictures, there’s a good reason why they’ve survived for so long. Whether they’re growing in the middle of gale-force winds, on the tops of rocky platforms, inside concrete tunnels, or even growing out of each other, trees know how to survive in places that few living organisms can, which explains why the planet is host to around 3 trillion adult trees that cover an estimated 30% of the earth’s land. Considering that plants produce the vast majority of the oxygen that we breathe, we should all think ourselves very fortunate that trees are as resilient as they are. We wouldn’t even be here if they weren’t. Well, it has been raining “Cats and Dogs” with universal harmony for the Chinese New Year of the Dog – 2018. Yes, that little pooch has been inspiring the spiritual side of Cricket the K-Town Kitty and her good friends Dune and Randolph, the Furry Sleuths of the Arizona Desert. It is the Year of the Dog, who wagged his tail to bring in the energy to heal and inspire loyalty with a blessing of prosperity to all through friendships. The 2018 Little New Year Doggie has brought Dr. Hildy® and Cricket a bridge to a little part of China through a special boutique bookstore known to all in Honolulu, Hawaii, as the DRAGON GATE Bookstore. This quaint bookstore that nurtures the mind is owned and operated by Ms. Emily Ng. Tourists in Hawaii may enjoy experiencing a little bit of China as they browse through the book store and then get a bite to eat while journeying on your way to waterfalls with sea turtles swimming below on the other islands of Hawaii with the smell of flowers and pineapples in the air. What is so special about this store – it specializes in Asian genera, which goes right to the heart of Dr. Hildy® when she created her first Asian inspired product Dragonfly in tribute to the Dragons of Asia. Dragonfly gel is a blend of essential oils of lemongrass and basil that are the favorite aromas of the ancient Dragons of ME, who are known to create the music of the primordial universal melody for your own individual empowerment. And what better way to do it than through DRAGONFLY gel. The DRAGON GATE Bookstore has all of Dr. Hildy®’s and Cricket’s favorite Asian movies, too. New, Old and Special Favorites like House of Flying Daggers, Red Cliff, K-20, the new Takeshi Kaneshiro movies, It’s Not What I Expected, and See You Tomorrow, among many others. The DRAGON GATE Bookstore will keep Dr. Hildy®’s three books in stock, as well as special Dragon Paintings and Dr. Hildy®’s Cricket’s Cat Fishing Line ~ guaranteed to catch a cat every time. Dragons of ME from the Seven Cosmic Seas of ME (co-authored with Roberto Mentuccia). Cricket the K-Town Kitty: A Tale of Who I Am. In CELEBRATION of this auspicious time we’re building a bridge to a bookstore that can fulfill your orders for Asian DVDs and Literature through the DRAGON GATE Bookstore. One Cell One Light Radio Show will present a special show on the films of Takeshi Kaneshiro on March 14, 2018. Watch for the promo email and check the website for the March 14, 2018, live show or listen to the archives after the original show date. Takeshi Kaneshiro has been a bridge to Japan and China as well as in the hearts of many fans in the United States and the rest of the world. Kaneshiro is just as Sessue Hayakawa was during the Golden Age of the American Silent Cinema, who was known as the precursor to Valentino. The world has been following this multi-faceted and talented star as an actor, singer and professional model, since his early teenage professional career unfolded its wings. And with a little help from the Dragons of ME, the world will see him shine his own star in Hollywood for all to see, just as the Three Kings of Hollywood did in its Golden Age: Sessue Hayakawa, Rudolph Valentino and Ramon Novarro. And as usual, Dr. Hildy® will be giving a “GIFT Give Away” to the first caller to call on March 14, 2018 – during the One Cell One Light Radio Show and give the correct answer the show’s question correctly (phone: 323-466-2599). So look for the show in March because the special gift collection from Dr. Hildy®and Cricket will honor Takeshi Kaneshiro and Japan. It will include 5 DVD’s of the movies of Takeshi Kaneshiro: 1) House of Flying Daggers, 2) Red Cliff, 3) Returner, 4) This is Not What I Expected and 5) Wu-Xia (Dragon – with Donnie Yen). There will be also some special gifts from Cricket the K-Town Kitty to bring forth Spring as we dream of Cherry Blossoms in Japan. And while you tour little China Town of Honolulu, Hawaii and visit the DRAGON GATE bookstore, you may want to go the Ms. Emily Ng’s favorite restaurant called Legend Seafood to experience a very good dim sum and Cantonese style food. It is located near the DRAGON GATE Bookstore at 100 N. Beretania St. # 108, Honolulu, Hawaii. So DO NOT FORGET to keep the location, address and phone number handy for the DRAGONS GATE Bookstore as you place your orders for your favorite Asian Movie or books. Remember to say Dr. Hildy® and Cricket sent you there. Just think of it, what a beautiful place for the DRAGONS of ME to go – the Island of Hawaii at the DRAGON GATE Bookstore, the first store to have Dr. Hildy®’s books on its shelves in the world. What a true honor to be bestowed on from this little bit of China, where the Legends of Dragons grew, just as a single little grain of sand turns into a pearl – the precious jewel of a Dragon. What is Chinese Astrology? When is Chinese New Year? Asian astrology is based on astronomy, philosophy, and traditional calendars, and is the divination of the timing of the future. In particular, it is based on a 60-year cycle documented since the time of the Chinese Shang Dynasty (1760 – 1520 BCE). This foundational cycle combines two cycles — the 10 heavenly stems (the five elements of water, wood, fire, earth & metal in their yin or female and yang or male forms) plus the 12 earthly branches, or the 12-year cycle of animals, referred to as the Chinese zodiac (Rat, Ox, Tiger, Rabbit/Hare, Snake, Dragon, Horse, Ram/Sheep, Monkey, Rooster/Chicken, Dog, and Pig). The Chinese animal zodiac also operates on a cycle of months (the 12 animals each rule one of the 12 months) or “moons,” and of hours of the day (12 animals rule two-hour periods each, adding up to a 24-hour day). Friday, October 13, 2017 will be the 100th year Anniversary since the Lady of Fatima made her presence on earth. In celebration of this event and others were the Blessed Virgin Mary showed herself to others on this earth over the centuries of time, which I will be sharing some points with you to reflect upon about our Queen of Heaven. The Queen of Heaven is the story of their enmity, the battle between an angel who said “no” to God, and the handmaiden who said “yes.” It is a spiritual battle that began at the dawn of time, and has inspired the spiritual essence of many a battle upon this earth throughout history to the current day. God existed eternally, before any of his creations. His existence was not a solitary one, for there was the Father, the Son and the Holy Spirit, living in a communion of indescribable Love. This love did not need to be shared outside of the Holy Trinity, but God willed it so. The book brings out the various healthcare providers she saw throughout her journey to recovery in her battle against Lyme Disease. She even discusses on certain pages going to see her toxicologist, Dr. Hildegarde Staninger®, RIET-1, where she learned about essential oils, rose and orange water. Over the years I have recommended to Lyme and other patients/clients the essential oil soft gels such as Slim & Sassy; Triease; Digest Zen and On Guard, manufactured by doTerra® (www.doterra.con/drhildy). And don’t forget my recipes for Orange and Rose water we use in our Dr. Hildy®’s Whole Body Detoxification and Environmental Health Educational Programs (.pdf). They are quite refreshing. In the BIG World of Nanotechnology many individual compounds are used that are known to be hazardous materials and/or toxic substances are now being applied to the innovative and creative architectural design of bio-scaffolding, nano coatings, thin films and 3-D Bio-Printing and regular 3-D printing processes to name a few aspects of their use. In the May 2015 issue of the Smithsonian, the magazine clearly sates the “Future is Here” as it specifically addresses topics of communicating brain to brain; farm to table organic suburbs; made to order bones and organs and fighting famine and drought with satellites. In each of these processes a form of a nano advanced materials is used as a composite composed of a base polymer (of a known plastic raw materials). It may be used to make a human ear and/or develop a brain cloud network of MEMS or nano-siliconCMOS neural dust sensors, so you may transfer your thoughts to another cloud brained archived brain or into your own after selecting the memory or function you desire. In any event the use of polymers, wires and their composite materials are the nano building blocks to make a nano tool, which becomes the micro device. The single building blocks as a nanotechnology term or nano advanced material that is composed of toxic individual compounds that are even maded from polymeric plastics such as Styrofoam®, phthalates, vinyl chloride, butadiene rubber and many more that are known human carcinogens are now being used in the following aspects of beauty, cosmetics, medicine and pharmaceutical industries as nano delivery systems are illustrated in their particular use and/or smart function aspect.